A Quality Plumbing Repair Is Just a Phone Call Away. When your plumbing isn’t working correctly, we have the experts and the best tools to get it back on track and keep your home or business running smoothly. Here at All About Plumbing & Septic, we are dedicated to making sure that you are never stuck needing a plumbing repair for too long. There are times when you will need a repair and you may not know who to call; call our team of professional plumbers and let us help you. We are available to you 24 hours a day because we care about you and your well-being. Whether it is a problem with your septic, you have a clogged sewer line or drain pipe, or your toilet needs a repair, we will be able to get there and solve the problem. Sometimes, there will be an issue with something small with your plumbing system and it will cause a big problem. The good part about this is that usually a quick repair is all that is needed. Plumbing systems are filled with valves, tanks, and pipes that can develop problems or breaks in them over time. Sometimes the repair is as simple as switching out a valve or relining a pipe. Our professional plumbers are all available to you with many years of experience and skill. We only have the best on our team and our plumbers are just that. We are all dedicated to keeping your plumbing working the way it should. Our goal is to prevent and make your system last for as long as possible. That means that we offer great maintenance packages and warranties that can keep you safe and help avoid leaving you stranded with no hot water or a toilet that won’t flush. If your repair turns into needing a replacement, don’t worry. We offer complete warranties that will be able to cover these new systems and parts fully and also include the price of labor. We do this so that you will have peace of mind that if anything goes wrong again, that you will be covered without hesitation. When you need a plumbing repair in Mills River, Hendersonville, and Asheville, NC, make sure that you call All About Plumbing & Septic at 828-778-2425 so that we can make sure you are taken care of, the right way. Call Us As Soon As You Notice a Leak In Your Home Or Business. Clogs happen all too often for one reason or another. With so many different pipes and drainage areas throughout homes and commercial buildings, clogs can develop and not be noticed for some time. It is important to know what the signs of a starting clog are and how to avoid getting them in the first place. You will need to know what not to put down your drain so that you can avoid any major issues from disrupting your day. Avoid putting any food down your drain that will expand. This means items like rice, bread, and any pasta. You will also want to try to avoid any oils or fats as well. These items are sticky and will clog your drain up very fast. They end up lining the sides of the pipe and grabbing onto items that go into your pipes. This will form a blockage and end up leaving you with a very messy clog. When this happens, you will need to either snake the drain, or if the clog is bad enough or keeps returning, a hydro-jetting could be a great way to go. Hydro jetting uses heavy water pressure that will rip through any kind of clog and even tree roots. This will leave you with clean pipes and lines that will work exactly as they should. Water heater plumbing repair is the last thing that you want to be dealing with. When you run out of hot water, it can throw off your entire day. These types of problems will affect everyone in your home or business so it needs to be taken care of right away. Many times when the water heater is in good health, but has some kind of problem, it is usually a quick fix. If the system is run off of gas, the pilot light may just need to be relit. It could also just need to have a piece replaced for it to be as good as new. We recommend having your water heater looked at regularly to make sure that it is running as well as it can be. A leaking pipe is something that shouldn’t be looked past. Sometimes something may just need to be tightened down, but in other cases, it could be that there is a crack in one of the pipes. Leaks can cost you large amounts of money and major water loss every day that passes without having it fixed. We can come out and use a camera to look into your pipes or use water detecting technology to find where the leak is coming from. 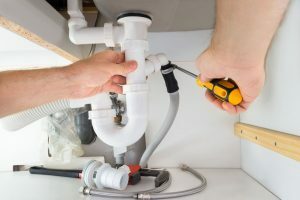 When you need a plumbing repair in Mills River, Hendersonville, and Asheville, NC, our professional plumbers are here to make sure you are always taken care of. At All About Plumbing & Septic, we take care of your plumbing problems like they were our own. Give us a call at 828-778-2425, right away when you have a plumbing repair that needs to be handled right away. 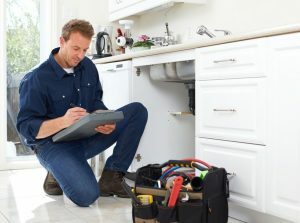 Updated on January 22, 2019 at 10:30 am by All About Plumbing.